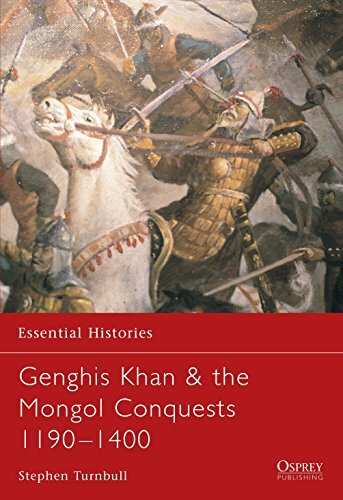 [PDF] Essential Histories 57: Genghis Khan & the Mongol Conquests 1190-1400 | Free eBooks Download - EBOOKEE! Description: The history of the Mongol conquests is a catalogue of superlatives. No army in the world has ever conquered so much territory, and few armies have provoked such terror as the Mongol hordes. So vast was the extent of the Mongol Empire that the samurai of Japan and the Teutonic Knights of Prussia had each fought the same enemy while being unaware of each other s existence. This book provides a concise yet thorough account of the Mongol conquests, including the rise of Genghis Khan and the unification of the tribes with up to date information on campaign logistics, tactics and horse breeding. No comments for "[PDF] Essential Histories 57: Genghis Khan & the Mongol Conquests 1190-1400".